Doug was half of the duo Tundra who specialised in researching and performing Kentish folk songs during the 70s and 80s. They made four albums with Joe Stead and toured nationally and internationally till 1984. 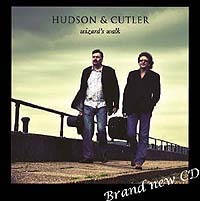 They were one of the three leading folk duos in England and featured in most folk festival line ups from Sidmouth to Cambridge. When the duo split Doug pursued a solo career in stand up comedy and played many of the London cabaret venues including the Comedy Store and the Canal Café Theatre. He played in the Sydney Comedy Store and performed his One Man Show in Hong Kong, the Middle East, Australia, New Zealand and Botswana as well as the UK. With the advent of the Hot Rats in 1992, further tours to Russia, Europe and Australia emerged with four more albums on CD. Doug is also currently the musical director of Rochester Sweeps Festival and is the PA announcer of Gillingham Football Club. Ian started playing at the age of 7 years, classically to start with and then (whilst attending as a junior exhibitioner at the Guildhall School, London) going on to play folk music. He then joined a band called "Hockett", this band, in 1972, were asked by Gary Carpenter to play the music for the cult film "The Wicker Man"
In 1975 he joined the "Bully Wee" band touring Europe and USA until 1983. He has now been playing for 20 years with the Hot Rats in South East England and Northern Europe, as well as touring with the re-formed Bully Wee Band. 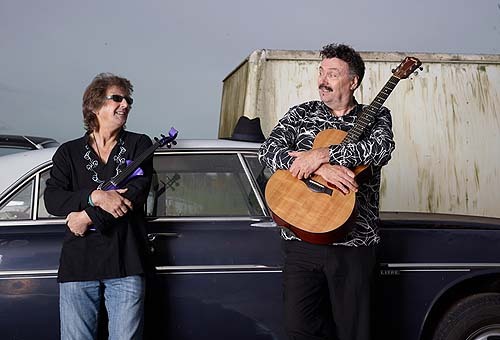 He was one of the original members of Feast of Fiddles and continues to tour with the band and in recent years has “teamed up” with Dave Cousins from the Strawbs. A little known fact about Ian is that in the 1970’s he Morris danced on the Children s TV show “Runaround” with Mike Reid.!! Apologies for the very short Gig List for 2019 so far , but The Hot Rats are very busy this year so they have very little time left !!! More to follow as the year progresses !